Legendary platformer Oddworld: Abe's Oddysee can be yours for free if you act fast. In order to promote it's Oddworld: Abe's Oddysee remake, Oddworld: New n' Tasty Oddworld Inhabitants is giving away the original game absolutely free. Yep, if you head over to the Oddworld: Abe's Oddysee Steam page, you'll be able to add it to your account for free, where it will stay forever. But you'll have to hurry, as this offer will end September 24 at 10am Pacific time. 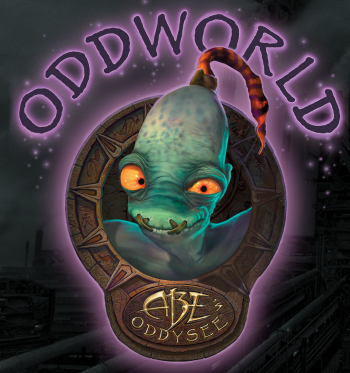 Oddworld: Abe's Oddysee was originally released for the PlayStation and PC all the way back in 1997, and is fondly remembered by many old-school gamers as one of sidescrolling platforming's greats, and a kind of evolution on the "Metroidvania" style of platforming. The game put you in control of Abe, a slave worker attempting to escape from the confines Molluck the Glukkon, who plans to turn Abe and his fellow Mudokons into food. Its flawless platforming combined with its quirky sense of humor cemented the game into a long-running franchise, though none of its sequels ever really came close to the original. As for New n' Tasty, it's effectively a HD-remake of the original game, so if you'd love to experience a classic of gaming in the modern age, you can snap it up for 50% off until September 25.